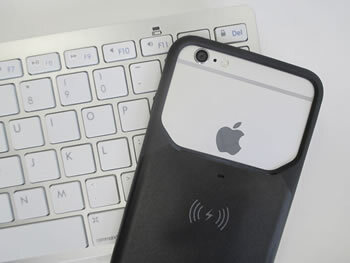 Add the simplicity and convenience of wireless charging to your iPhone 5/5S/SE with our lightweight and tactile MFi certified case. When installed, all you have to do is place the case on any Qi wireless charger to charge your phone wirelessly. 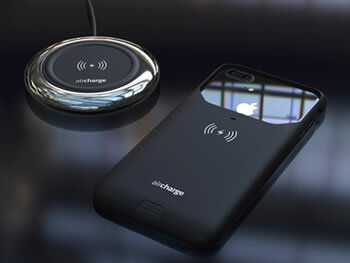 Download the Aircharge locator app and use your iPhone case to charge at over 5,000 public Qi wireless charging locations worldwide. Make sure you can keep charging wherever you are. 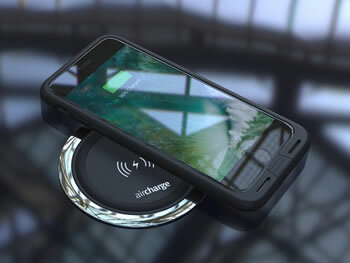 Aircharge cases are Qi-certified, meaning they are made to the highest standards, and will work with all Qi-compatible hardware. 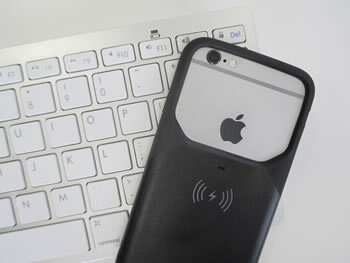 Aircharge cases don’t just look great and charge effectively, they’ve also been designed to feel amazing too. With a combination of materials that’s smooth yet durable, you’ll love the sensation of holding this wireless charging iPhone case. Submitted for official MFi certification for the iPhone 5/5S/SE from Apple, you can be confident that with this Aircharge case, you’re getting the highest quality of manufacturing and design possible.